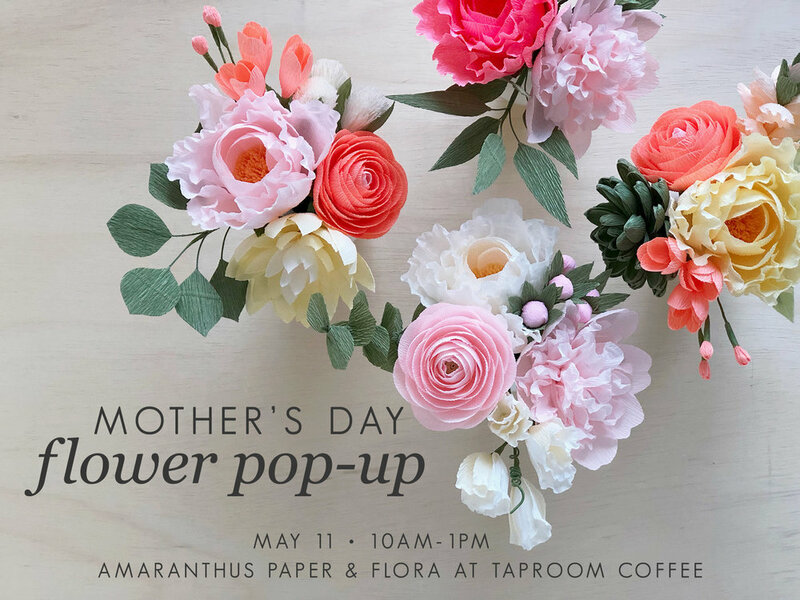 The Saturday of Mother's Day weekend, Taproom will be hosting Amaranthus Paper & Flora for a flower pop-up! This is the perfect chance to pick out some special flowers in person for Mom (or yourself!). Cherie and Meredith are the mother-daughter duo behind Amaranthus, and they'll be ready all morning with buckets of blooms and big hugs. Using colorful Italian crepe paper, they make each stem and bloom by hand, one petal at a time. They're on a mission to spread lively color and share lasting joy, and their blooms make the perfect Mother's Day gift -- a bouquet that won't die!